OTHER INGREDIENTS: Triple Filtered Water Whey Protein Isolate Maltodextrin High Fructose Corn Syrup Phosphoric Acid High Maltose Rice Syrup Dextrose Natural and Artificial Flavor Sucralose Potassium Sorbate Potassium Benzoate Acesulfame Potassium Red No. 40 Blue No. 1. 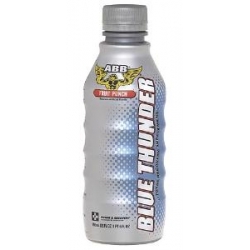 For Post-Workout Recovery: Begin drinking one (1) bottle of Blue Thunder immediately upon completing a workout. 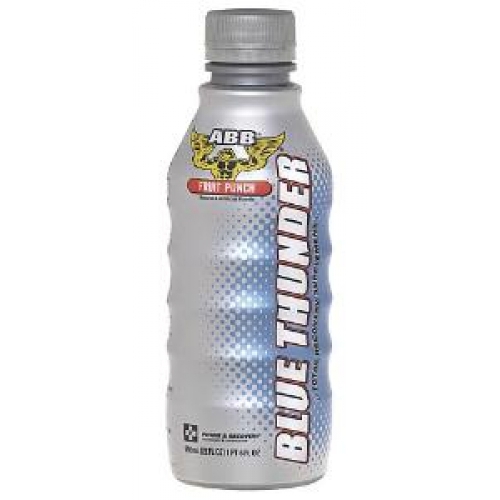 For High Protein Daily Nutrition: Drink one (1) bottle of Blue Thunder up to three (3) times daily to support your high protein and calorie needs. KEEP OUT OF REACH OF CHILDREN Do not take this product if you are pregnant nursing a baby or under 18 years of age. Check with a healthcare preofessional before using this product if you have any known or suspected medical condition and/or are taking any prescription or OTC medication.